How much do you like maroon and its shades? 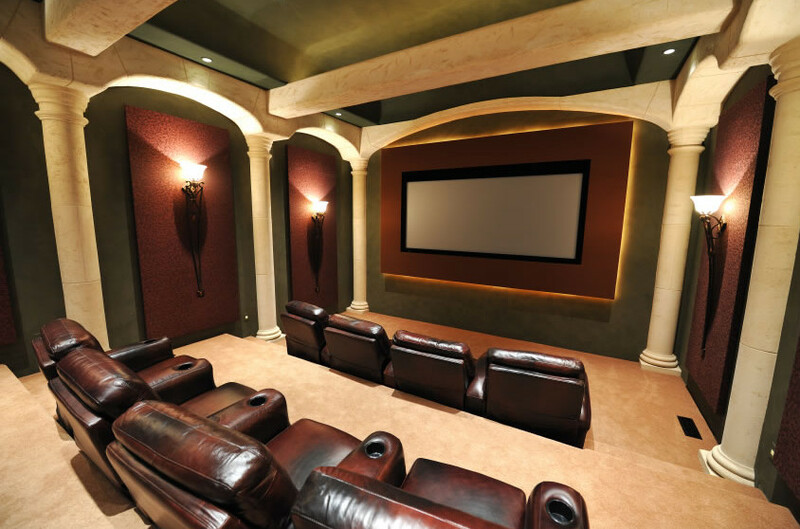 This home theater seems to give maroon the upper hand, as you can see. Furniture pieces, the screen area as well as other surfaces on walls are reddish purple. Their beauty has been enhanced by the lights and the golden yellow floor and walls.